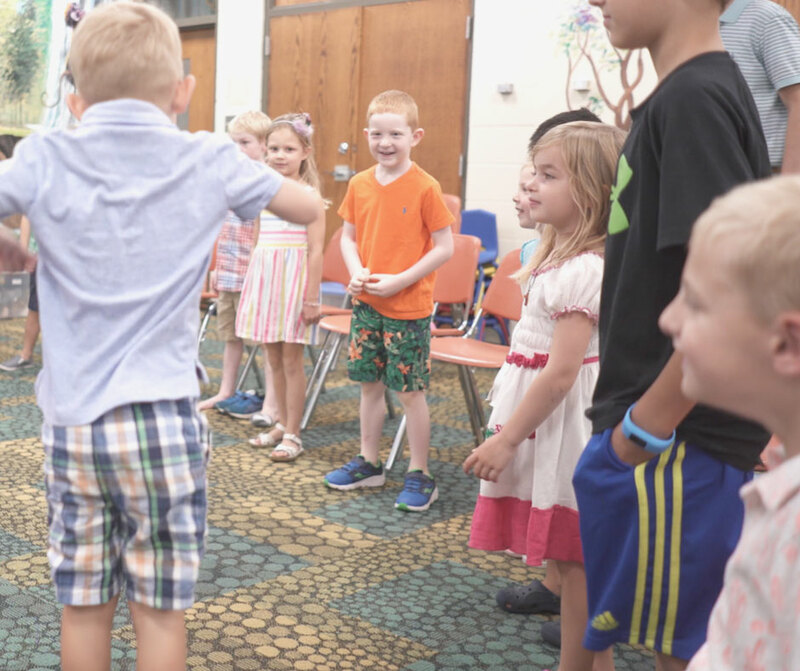 Children sometimes have a hard time sitting still in church — but thankfully, there are many churches with childcare that give parents the chance to worship without distraction. Childcare with an aspect of learning about God is also becoming increasingly popular at churches, with children getting the chance to do crafts, sing songs, and play games while learning to worship on their own. Also, a few different churches have been noted that offer one-on-one care for children with special needs. If you are looking for a church that may be a good fit for your family’s needs (or the opportunity to get in a little uninterrupted worship time), our guide is a great place to start! This list is a round-up of Kidlist reader recommendations (shared on our Kidlist Facebook page). If you attend a church with childcare that’s not featured here, please leave a comment with the information! “Discipletown Kids” provided during Saturday services at 10:30 am and 12:30 pm. A fun, faith-inspiring environment for infants through fifth grade. Special needs care provided; pre-registration is encouraged for best accommodations. Provided at all services. Nursery care is provided for infants through 2 years of age. Children K through 3rd grade may attend “Worship Wigglers.” Sundays at 9:45 am. Children learn to worship while being provided with childcare. Sundays at 10:30 am. Age-appropriate teachings and activities for children (birth – 5th grade) to connect with God. Provided at all services. Hands-on, interactive childcare provided for ages infant through 5th grade. Sundays at 10:00 am. Nursery care is provided at 9:30 am mass on Sundays for children ages 1 through 3. Children ages 4 through 5 may register for “Little Lambs” program during Sunday 9:30 am mass. Childcare through grade 5 with an emphasis on growing spiritually through crafts, songs, games, skits and more. Offers special needs care with one-on-one attention, pre-registration is encouraged. Provided at all services. Childcare for ages infant through 5 years that engages children spiritually through song, dance, crafts, and activities. Provided at all services. Nurseries and classes from children ages 0 to 5. Nursery care for children infant through 3 years old. Sundays at 9:30 am. Provides physical care and spiritual training for children (birth – 5th grade) during Sunday services. Nursery care is provided for children under age 2. Worship and child care is provided to older children ages 3 through 7. Sundays at 9:15 am and 10:45 am. Remember to bookmark our resources for families page for local insights to help your family thrive! If you are looking for churches with childcare in Chicago’s west suburbs, you’ll find that here, too. Be the first to comment on "Churches with Childcare in the Southwest Suburbs"